Linda Rising has a Ph.D. from Arizona State University in the area of object-based design metrics. Her background includes university teaching as well as work in industry in telecommunications, avionics, and strategic weapons systems. She is an internationally known presenter on topics related to agile development, patterns, retrospectives, the change process, and the connection between the latest neuroscience and software development. Linda is the author of numerous articles and has published four books: Design Patterns in Communications, The Pattern Almanac 2000, and A Patterns Handbook. Her latest book, written with Mary Lynn Manns, is titled Fearless Change: Patterns for introducing new ideas. David has lead software for many years in a variety of domains: digital audio, digital biometrics, medical, government, legal, security, financial, retail, and education to name a few. David now spends his time coaching and leading agile project communities in the U.S., Canada, Europe, Africa, and Asia. Along with presenting and leading workshops / tutorials at conferences in the U.S. and Europe, David is the creator of the video series Cutting An Agile Groove, and has contributed to several books (“Managing Agile Projects” and “Agile in the Large”) as well as contributing to agile curriculum for The University of Minnesota and Capella University. David leads DevJam, a Minneapolis based company composed of agile collaborators. As mentors and practitioners, DevJam focuses on using agile to help people and companies improve their software production skills. DevJam provides seasoned leaders that strive to pragmatically match technology, people, and processes to create better and cooler products. Since 2008 Jurgen writes a popular blog at www.noop.nl, that covers topics including Agile management, software engineering, business improvement, personal development, and complexity theory. He is the author of the book Management 3.0: Leading Agile Developers, Developing Agile Leaders, which describes the role of the manager in Agile organizations. And he wrote the little book How to Change the World, which describes his new supermodel for change management. He is also a speaker who is regularly invited to talk at business seminars and conferences around the world. Tony is the World Wide Co-Chair of the IBM Agile Leadership Council working across the whole of IBM coaching and mentoring teams and executives on being agile. He also works with many of IBM’s largest customers and advises them on their agile journey. Tony has broad experience across industry sector, project size and technology platforms. He was CTO of a number of software businesses before joining IBM and before that spent 15 years programme managing, architecting, building and deploying software products, systems and custom software in order to make people lives better. Chris used his extensive knowledge of financial derivatives to develop an approach on how to deal with decision making and named it real options. After Chris and Olav ran into each other in 2005 they have subsequently extended their model to incorporate applied psychology and various other disciplines. Unlike the "traditional" Real Options approach that is based on Black-Scholes, the approach that Olav and Chris developed avoids the complex mathematics and focuses on the practical implications of options. Their real options model (also known as the real options meme) teaches us to understand the timing of decision making and help discover new options not appreciated before. Olav and Chris have teamed up with Chris Geary to create the first business graphic novel about managing risk on projects. In the novel the main character (Rose Randall) learns how to apply the real options approach to the way she manages her new project. Danko is a seasoned veteran in the IT industry. His first steps began in 1997 when he completed 5 years of service in the Israeli army in a special elite program, where he was group manager in a computer unit. Afterwards, Danko joined a startup by the name of EagleEye, a subsidiary company of New Dimension where he was in charge of several development groups . In 2000, BMC purchased New Dimension and Eagle Eye became a business unit of BMC. In 2005, Danko was exposed to Scrum and, from that date, there was no looking back. Danko gained more and more knowledge and experience in Agile and specifically in Scrum and found himself lecturing and helping other companies to assimilate Scrum. After leaving BMC, he served as VP, R&D in several companies and, when the demand for Scrum was too much to handle in parallel, he resigned all posts and became an independent consultant. After an intensive year in which Danko lectured and assimilated Scrum for dozens of companies, he initiated AgileSparks. Danko is a well recognized international speaker with unique ways of presenting Scrum to newcomers. He is a Certified Scrum Trainer (one of the only about a 100 international trainers in the world). Danko is best known for his great enthusiasm for Scrum and his Scrum spark. Nick Oostvogels is an independent consultant who has worked at different companies in various industries. He helps organizations to deliver successful projects in whatever role necessary, often as a project manager or coach. Nick has 4 years of hands-on experience in agile and lean and 10 years experience in software development. He is a proud father of a daughter and twin boys, and enjoys outdoor sports such as mountain bike, running, soccer and drinking a Duvel afterwards. Nick is a regular blogger and enjoys speaking and learning at conferences. Kevlin is an independent consultant and trainer based in the UK. His development interests are in patterns, programming, practice and process. He helps teams adopt techniques and improve their software development through training, mentoring and reviewing. He has been a columnist for various magazines and web sites. Kevlin is co-author of A Pattern Language for Distributed Computing and On Patterns and Pattern Languages, two volumes in the Pattern-Oriented Software Architecture series. He is also editor of the 97 Things Every Programmer Should Know site and book. Joakim is an Agile Coach at Spotify, making music available and accessible to the world. He helps people improve through teaching, coaching and mentoring at individual, team and organizational levels, often using Agile and Lean software development methodologies such as Scrum, XP and Kanban. He is an organizer of, and active participant in, conferences, networks and user groups in the Agile and Lean communities. Joakim is also currently writing a book about Kanban. My name is Jon and I have been working in IT now for 17 years, mostly as an engineer but latterly as a manager. For the past 3 years I have been working for CA Technologies. As PO Proxy for CA, I participate in two projects, both of which are cross-functional and across multiple geographies. My primary concern is ensuring good rapport and communication between Product Management and Engineering. I am also keen that the perception of the team is good with project stakeholders and I need to also have an understanding the strategic goal of the projects, their place in CA's overall strategy and have a high level understanding of their technical makeup and target market. Andrea Provaglio is an independent professional with almost twenty years of experience in the field of Information Technology. He assists clients from many different domains, which can range from large organizations such as the European Commission in Brussels, or large multinational banks, to small and dynamic IT companies. His mission is to help his clients to develop better software and to create better development teams; and to help the individuals to improve technically and relationally. Andrea’s contribution to his clients is primarily in the areas of: Adoption of Agile practices and culture; Development of soft skills for teams and organizations; Coaching and training on the Java/J2EE platform; Design Patterns (Integration and Distributed Applications); Architectural assessments; Skill assessments. Andrea is frequently a speaker at international IT conferences and contributed to a few books and publications. Pat is a Certified Scrum Master, Certified Scrum Practitioner, and certified with the Project Management Institute as a PMP. He was instrumental in bringing Scrum into a New York State Government Agency, and helped that organization adopt agile methodologies. While piloting a critical agile project with that agency, his team won a New York State award for best practices in management. He has been leading information technology projects for over ten years. He started his IT project management career at General Electric Power Systems and is currently with Experis as a consultant and agile coach. Pat continues to coach and mentor agile Scrum teams, individuals and management at all levels of maturity. He is the organizer of the Upstate New York Agile User Group, and is a member of the New York City Scrum User Group. Pat is a featured author of articles for the Scrum Alliance and other agile-related blogs such as the PM Boulevard Newsletter. He was a recent speaker at the Agile 2010 conference and participated as a stage reviewer for the Agile Project Management stage. Pat continues to co-train certified Scrum Master classes, hold agile workshops, and speak at local and regional events. As principal solution architect in Steria Norway, Johannes Brodwall cares about most aspects of software development projects. He’s involved in bidding for large public sector projects and as such, participates in the public debate about contracts in relationship with Agile software projects. His real passion, however, is writing code that works. In order to have time to code, he finds he needs to help out fixing the issues of current contract standards. Zuzana has over 11 years of commercial experiences in IT, beginning as a software designer/engineer and moving up into project management, program management, and into executive management at a company provides SW services for international customers (USA, Germany, Austria, Great Britain, …) that operating in mission critical and life critical sectors – i.e. air traffic control management systems, extensive healthcare applications, and public safety systems. She started with agile and Scrum back in 2005, where I was involved in implementing the agile methods at large US company operating in the medical area. From that time, I was responsible for implementation of agile and Scrum to teams in the Czech Republic operating in different areas of IT industry. Currently she works as a trainer, consultant and coach for software organizations, support them in tailoring their agile adoption processes to company culture. She is founder of the Czech agile community Agile Association, organizing conferences and events and sharing the agile experience all around. She is regular speaker at international conferences. She is Managing Director of LOTOFIDEA. As a software engineer, Eduard started to use SCRUM back in 2003, where he was involved in a small startup company. Growing further in his career, as a team leader and manager Eduard started to promote agile & lean practices in different companies, from growing startups to mid-sized companies and big corporations with offices on multiple continents. Eduard was lucky to have an opportunity to experience Agile adoption process in one of the largest independent software providers. Currently he works as a senior director of software engineering at CA technologies. 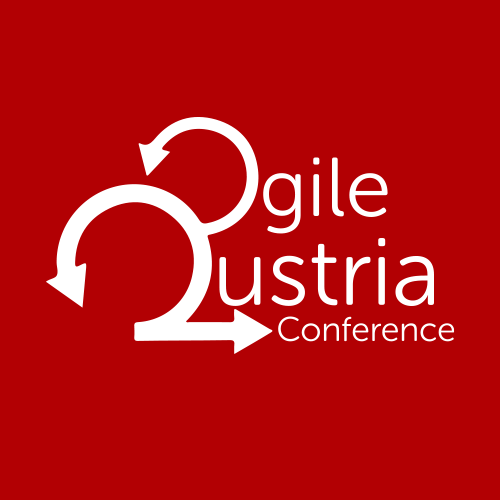 Eduard is also a co-founder of Czech agile community Agile Association – AgilniAsociace.cz. The Association organizes regular open-café sessions, workshops, conferences and other events with a main goal to share the agile experience across companies and company cultures. Gaetano Mazzanti is an Agile Coach and a WIP limits addict. His background includes a long experience as a manager in the Software and Machinery Industry. He worked in USA and India leading distributed teams in advanced software projects (CAD/CAM, PLM, Industrial Automation, Plant Control and Supervision). He is now coaching and consulting in Italy and abroad helping organizations to embrace Agile and Lean methodologies. He is a speaker at international agile conferences. Ola Ellnestam, founder of Agical and author co-creator of The Mikado Method, He likes to combine people, technology and business which is best done with simple means and flexible processes. More than that he likes to share his knowledge and experiences because that’s how new insights are created according to him. Mina Boström Nakićenović is a certified IT architect with fifteen years of experience of software development in different domains including CRM, e-Business and financial services, using .Net, Java and C++. She has been working for seven years on high-performance financial market systems at a global company, Sungard Front Arena, Stockholm. The latest years she has been applying agile and lean philosophy on several projects, producing lightweight solutions on time and within budget. The solutions address both technical and organizational aspects. She has also been doing research work regarding the technical side of agile development in the industry. Her main field of research is the application of the agile practices to Model-Driven Development (MDD). Her aim is to find pragmatic solutions which contribute to the rapid development and fast delivery. Mina comes originally from Serbia, but she lives in Sweden since her husband is Swedish. As both of them are passionate software developers they are raising their three kids in a lightweight environment, often applying the agile and lean principles such as “don’t plan for tomorrow” and “do things at the last responsible moment” even in real life situations. Thorsten Oliver Kalnin is a Co-Active® Coach, Agile Scout, StrategicPlay® Facilitator and passionate about serious games for Agile Teams based in cologne, germany. Thorsten has more than 17 years experience in professional SoftwareDevelopment, Project- & Customer Care Management, ProjectConsulting and Agile Transformations. Thorsten helps People, Teams and Organisations towards Agile, becoming more effective and satisfied with their work and life by implementing an Agile Mindset with more fun and passion at work. From Developer to Project-manager to Scrum Master, Petr has forged a solid reputation for helping large scale organisations organise their development teams better. Having worked with Centrum Holdings for 4 years, Petr was directly involved in coordinating the various teams efficiently carry out their tasks on assigned projects. Currently Petr is the Scrum Master at Seznam where he helps the full text team through their fast-pace and demanding working day in a more efficient way. Gil Broza helps software organizations who want to adopt Agile, or their current use of it isn't delivering on its promise. He guides them in implementing a reliable, sustainable methodology so they truly delight their customers and make a positive impact. He is an all-rounder, working at all organizational levels and coaching people in technical, managerial and leadership behaviours. Gil's forthcoming book, "The Human Side of Agile: How to Help Your Team Deliver," will guide Agile managers in growing and leading their teams to outstanding performance. Gil has been a regular contributor and coaching stage producer for the Agile series of conferences, a sought-after speaker for other industry events and groups, and host of numerous public webinars about Agility. He lives in Toronto. Predrag Jovanovic is a simple guy that enjoys listening to Hard Rock music, playing guitar and following Martial Arts sports. He’s been doing software development since 2004 in variety of industries: education, government, eCommerce, telecommunications and finance. He first read the Agile Manifesto in 2006 and has been doing Agile in one way or another ever since. Predrag currently works for Barclays where he holds the Product Owner role for one of its projects. Georgy Bolyuba is a software developer who writes his introductions in the first person. It is easy to say you love IT, many people do so. Hi, my name is Georgy Bolyuba and I will admit that I do care deeply about IT, but it has been only 12 years since we got together. We have the whole life ahead of us and only time will tell if this is true love. Michael has a split personality. One part of his works at Oracle as a Technical Lead in the JavaFX team. The other part is fascinated by creativity and explores all possibilities to encourage and foster it. This part also creates a new web application SketchHatch that helps distributed groups of people to become more creative and productive during meetings (http://sketchhatch.com). Jiří has 12 years of experiences in internet industry, beginning as the PHP developer of internet portal services. Then moved through team leadership to project management. After five years of experience with traditional project managent discovering lot of problems and pitfalls he became interested in agile product and software development and discovered its power. Jiří currently works as Scrum Master and team leader of two teams at LMC, s.r.o., czech leading leading provider of job portals and HR services. Radovan seeks environments where people matter more than processes and create value with their work. After trying out managing projects in consulting company for public sector contracts and working as developer in bank he moved to internet company Seznam.cz where he works since 2008. Held positions include: project manager, developer, product manager, product/project manager. He is product manager of vertical search at Seznam.cz. Pavel was always a big proponent of Agile development. In his current role, as Vice President of Engineering in Kerio, he is pushing Agile methodology through the whole company. Prior to joining Kerio, he was the Site Director of Prague Engineering Center, Sun Microsystems Czech Republic. Pavel is no-nonsence INTJ type (strong I and T), prefers thinking out of the box over the dogma - even in Agile methodology. Pavel is also a co-founder of Czech agile community Agile Association – AgilniAsociace.cz and one of the organizers of Agile Prague. Automating developer, fearless restructurer of code, intelligent tester, and mentor in all those areas. Daniel is a software developer with a sixth sense for what works and what is effective. He is a co-creator of the Mikado Method, an effective way to restructure code bases of all sizes.Automating developer, fearless restructurer of code, intelligent tester, and mentor in all those areas. Daniel is a software developer with a sixth sense for what works and what is effective. He is a co-creator of the Mikado Method, an effective way to restructure code bases of all sizes.